Robert Muller has been appointed the role of Network Operations Director, with effect from September 1, 2013.
continue to develop his international career outside of the UK. "I would like to thank Ewan for his contribution and the successful measures he's put in place to help our business thrive. 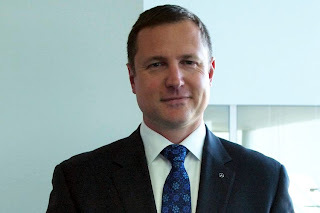 Robert Muller brings a wide range of previous automotive and retail experience, as well as network operations, meaning he's ideally placed to further build on the momentum already gained through what has been a record year for Mercedes-Benz in the UK," said Marcus Breitschwerdt, President and CEO Mercedes-Benz UK. A successor for the role of General Manager, Operational Excellence will be announced in due course.